The colt had previously advertised his claims with wins in the Queen’s Vase and a Group One in France earlier in the year and fended off the late challenge of favourite Lah Ti Dar. The pair never looked like being caught from then on and won by two and a quarter lengths. Southern France, his stablemate, kept on for third, a further four and a half lengths adrift. “We couldn’t be happier with him. 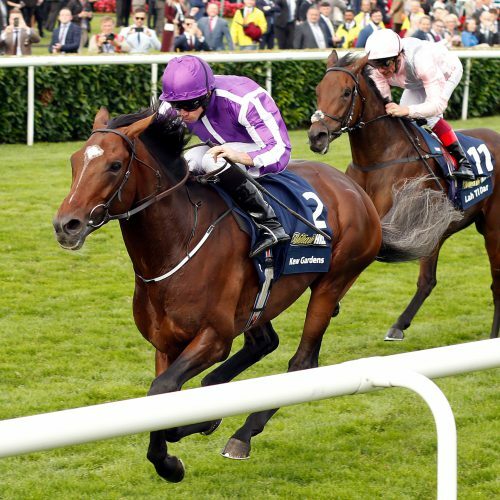 He’s a horse that’s progressed lovely,” O’Brien said of Kew Gardens. “We saw what he did in (Ascot) and we were delighted with him in France. Kew Gardens was having his 12th start at Doncaster and was running in his second Classic, having earlier failed to make much impact in the Investec Derby when aggressively ridden. As a two-year-old, the Galileo colt saved his best for last when landing the Zetland Stakes over a mile and a quarter at Newmarket. It was an early indicator of his stamina reserves.